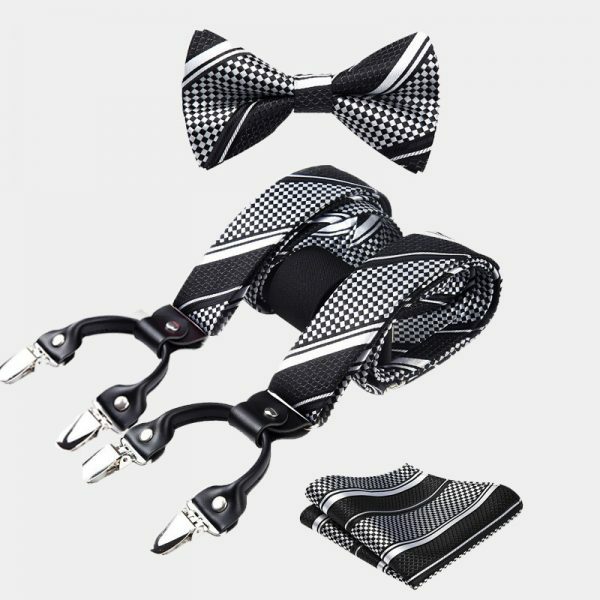 What better way to put style and class to your wardrobe than with a pair of our gentleman’s classic gray button suspenders? 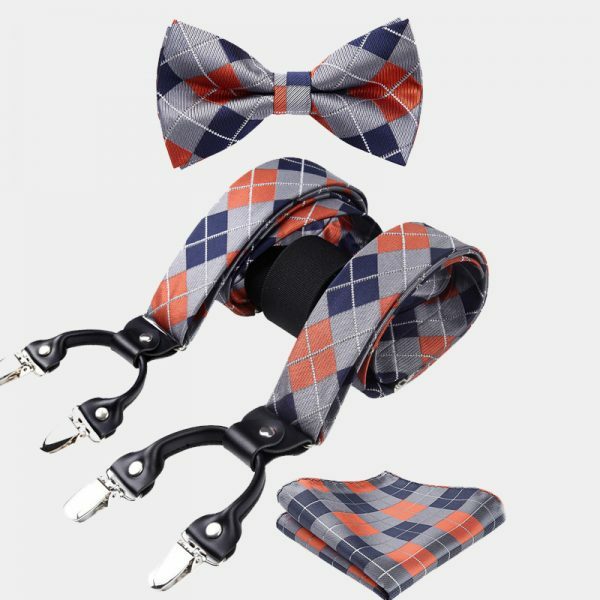 This sophisticated accessory is a great alternative to your belt. 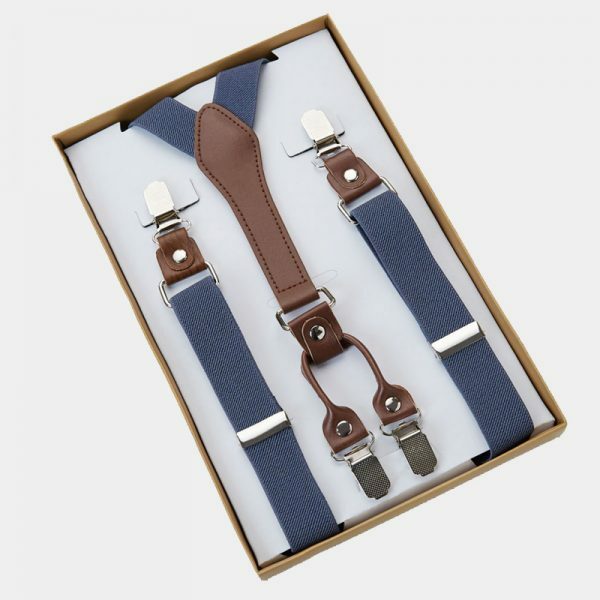 Elevating your wardrobe and keep your trousers in place with a pair of our classic gray button suspenders. The neutral gray color makes them a smart choice for your casual as well as business looks. They also make a fantastic addition to your wedding or prom tuxedo as well as your other formal wear. 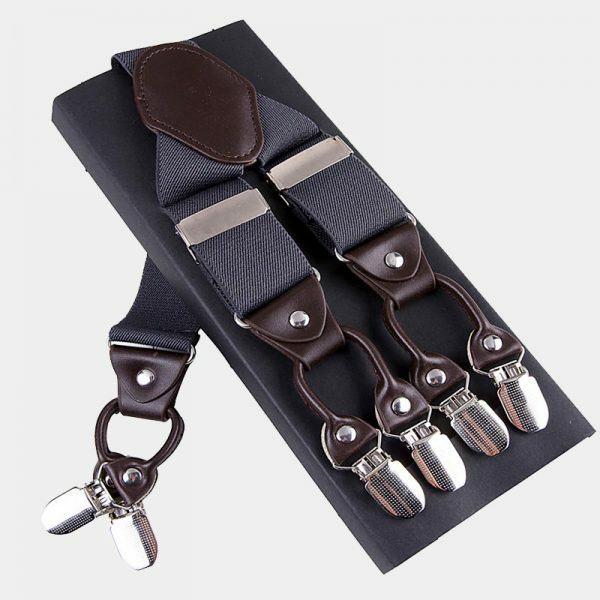 These beautiful high-quality dress suspenders are crafted with long-lasting spandex as well as handmade black leatherette details. 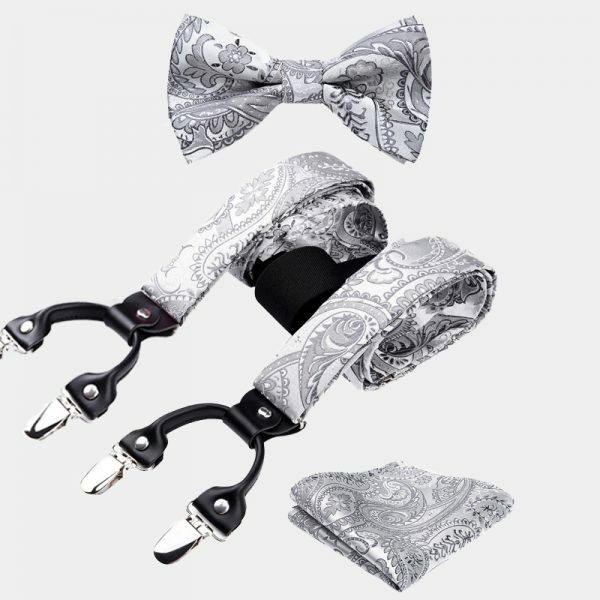 These handsome gray suspenders are not only strong but also soft and comfortable. 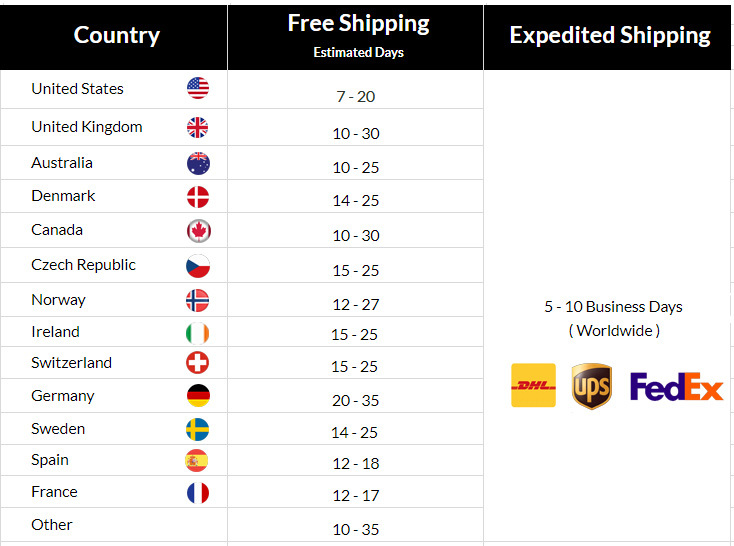 Each pair measures approximately 47″ long by 1.37″ wide. No need to worry if your pants don’t have buttons. 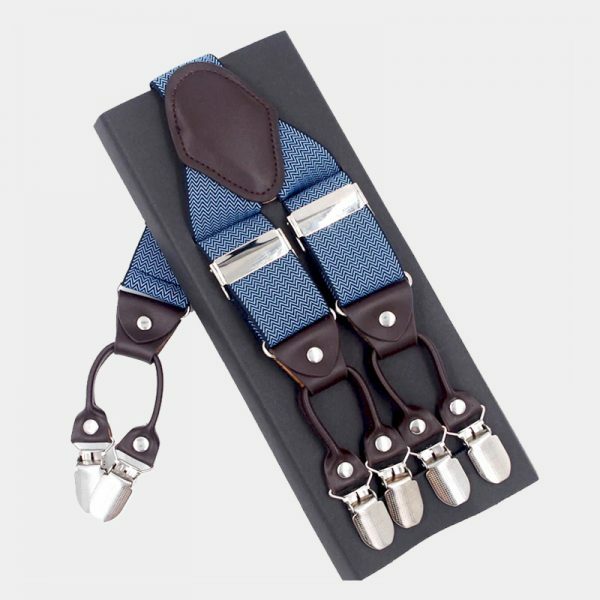 These men’s suspenders also come with extra buttons that easily attach to your pants. 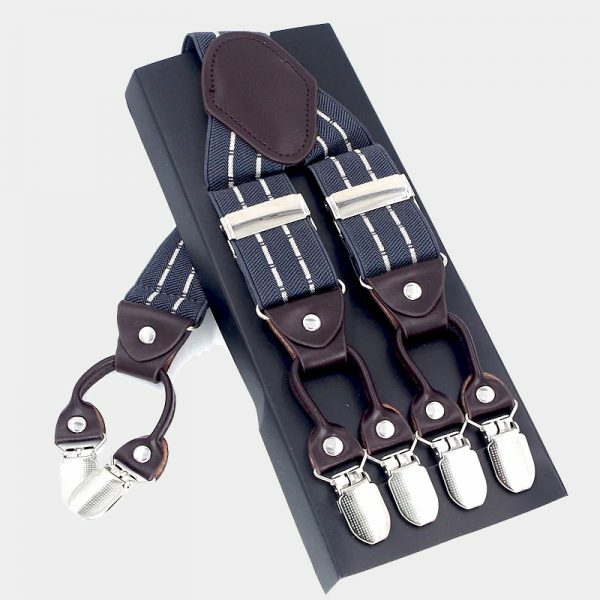 Taking your wardrobe to the next level without emptying your wallet is a snap with these classic gray button suspenders.